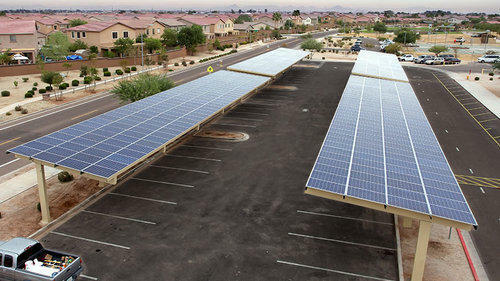 By installing Solar Panels above your parking space, you can generate clean solar energy while providing shade. This system is installed for a company parking space for its staff and guests. The installed system is of capacity 550kW net metered distributed generation carport Solar PV system. It is estimated to generate approximately 880GWh per year in addition to providing daytime shade and cooling area.